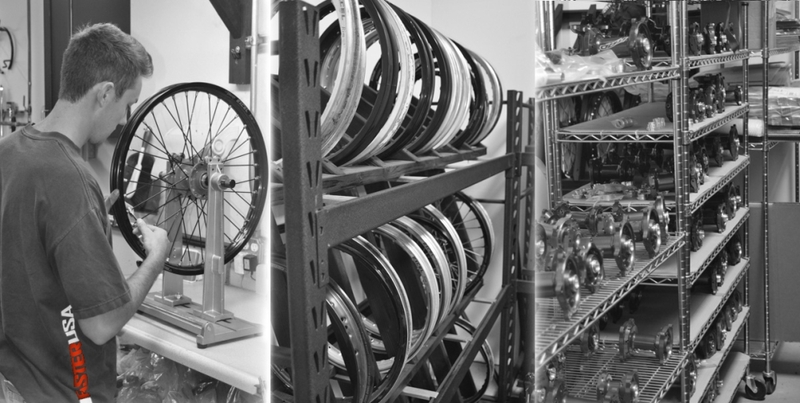 FasterUSA provides wheel building services for aftermarket and stock wheels. We strive to make it as convenient as possible to have your current wheels serviced or purchase new wheels. Powder coating of hubs or spokes are done in house, custom wheel sets are our specialty. We cover return shipping on all wheel sets that are laced and trued with new rims and spokes!